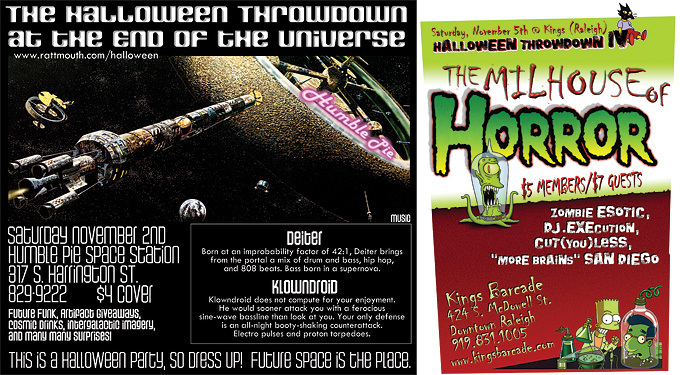 As a second part to my Halloween-themed posts, here are the flyers for all four years of our Halloween party. 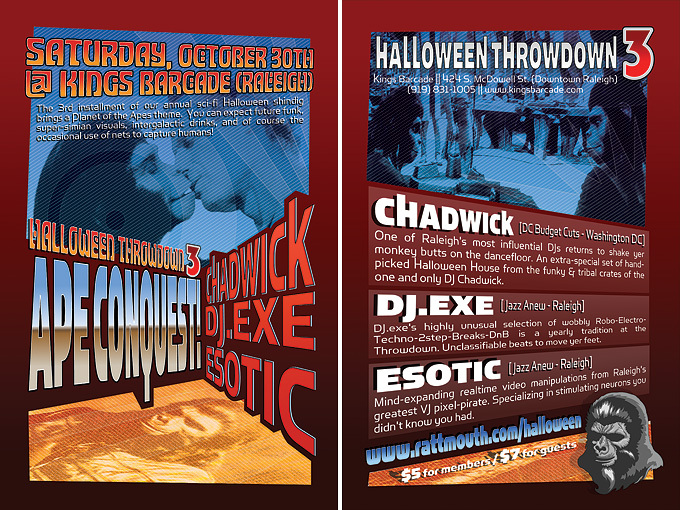 I took part in three dj events in one week, so I created this email flyer for them all. 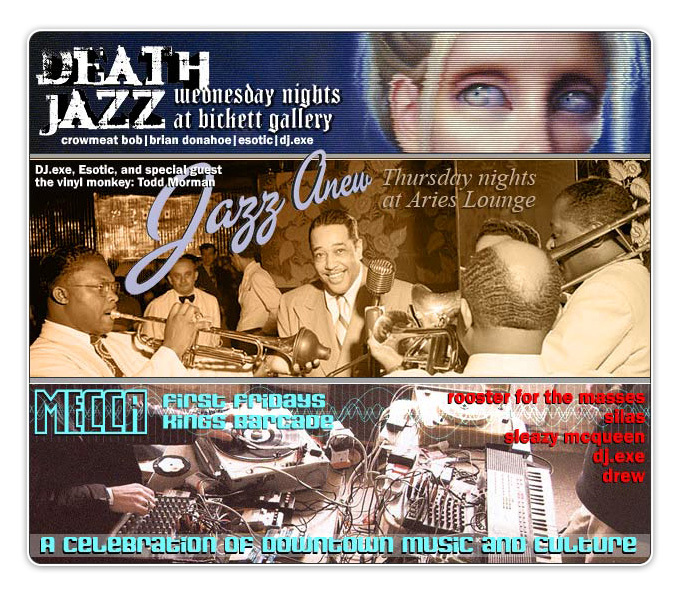 DISCLAIMER: EACH and EVERY Thursday (for well over 3 years), I created some sort of quick Photoshop graphic to promote my Jazz Anew dj night (usually made during my lunch break). 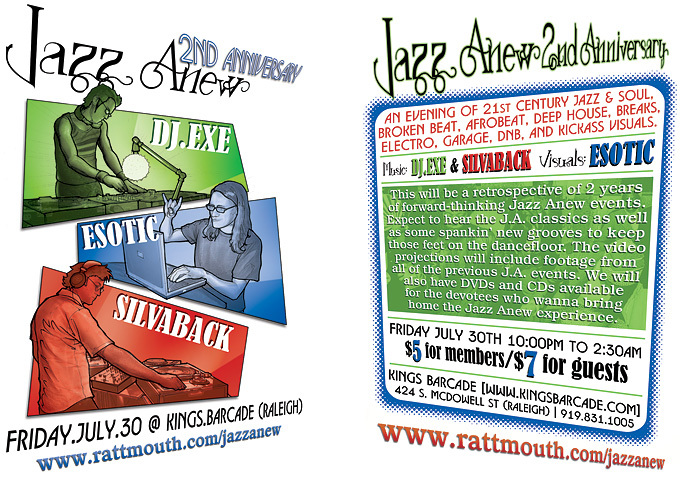 The basic idea was to borrow a sample image from somewhere and then change it and create a pretty neato email flyer. I made certain to manipulate the images enough so that it became an entirely new piece of artwork. 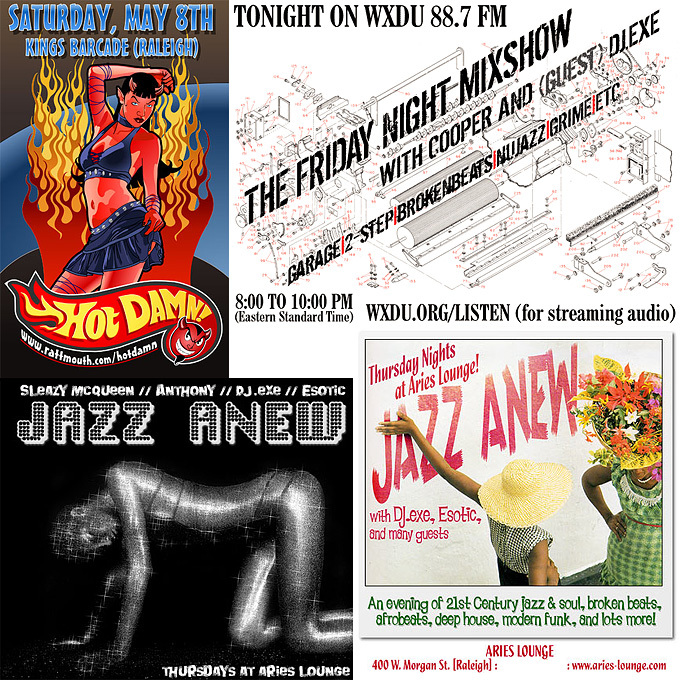 This is a flyer I made to celebrate the 2nd year of Jazz Anew (a weekly dance party dedicated to jazzy-electronic music in all it’s many wonderful forms). 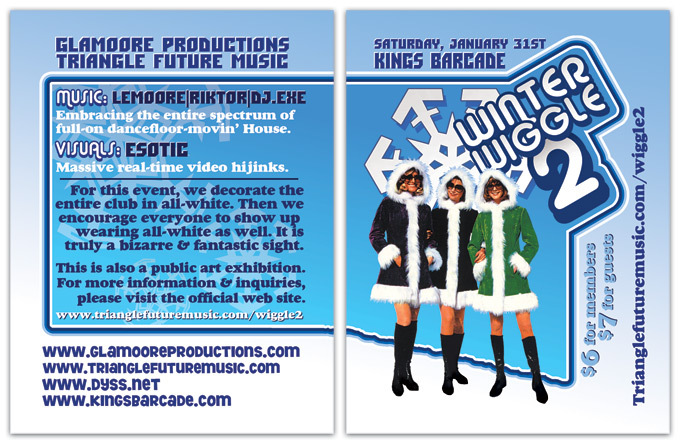 This is a flyer that I made for the sequel to our winter-themed dance party, the Winter Wiggle. 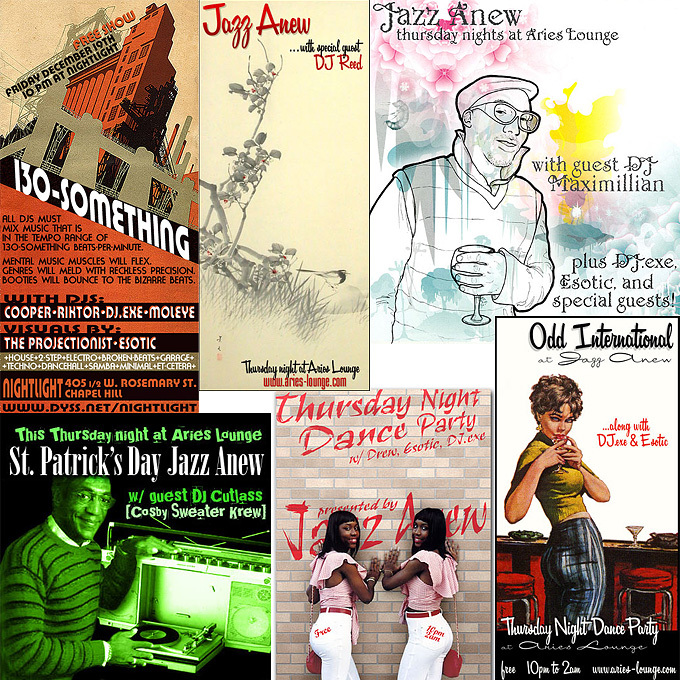 The image of the girls came from a swanky 1960′s women’s clothing catalog. 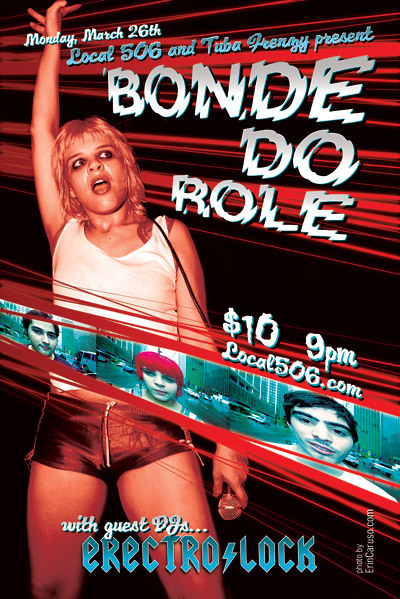 A flyer that I designed for our show with Bonde do Role at the Local506. Unfortunately Marina came down with some sort of throat infection and missed a few shows (including the North Carolina gig). 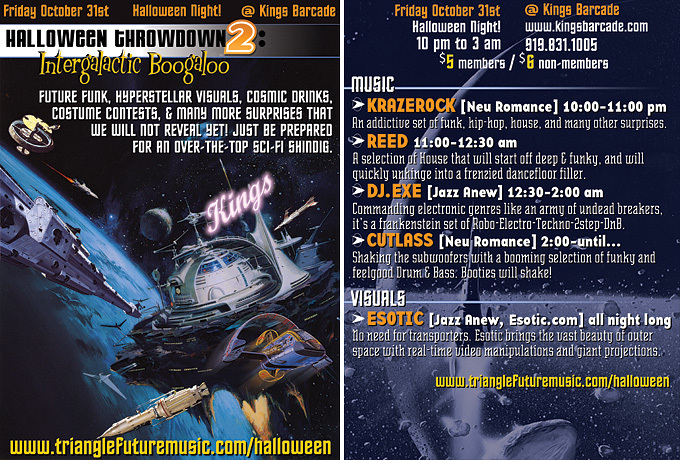 As of this posting, they are rescheduled to play at the Local506 in mid-October. 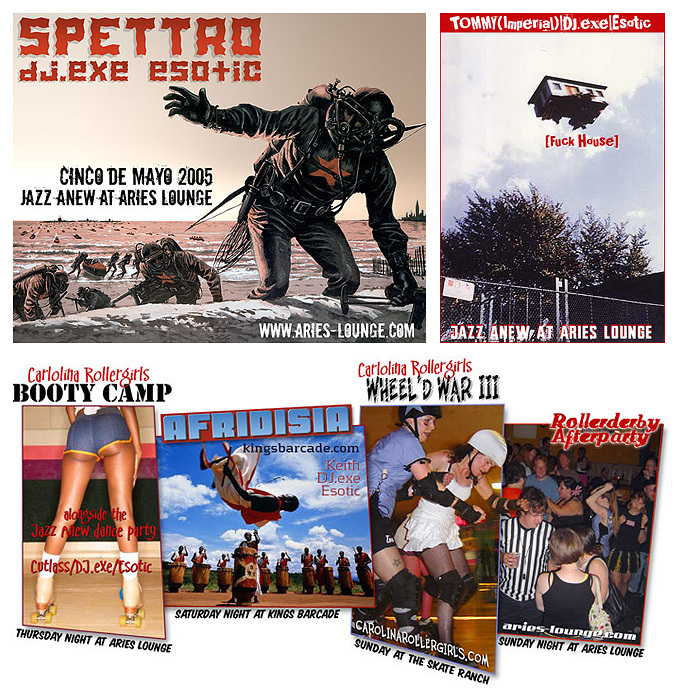 The N.C. ERECTRO/LOCK boys are again scheduled to dj as an opening act. I know they will do me proud. 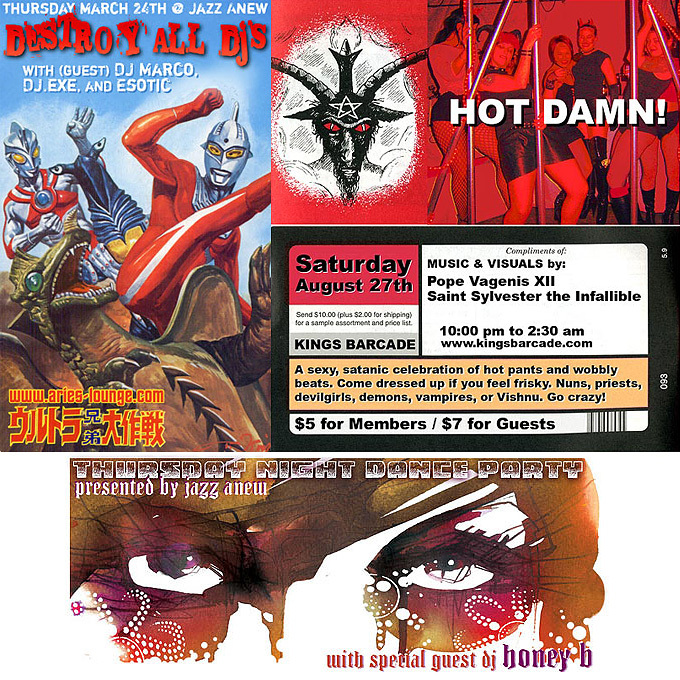 This is a flyer that I designed for when I helped bring him to the Triangle (NC). 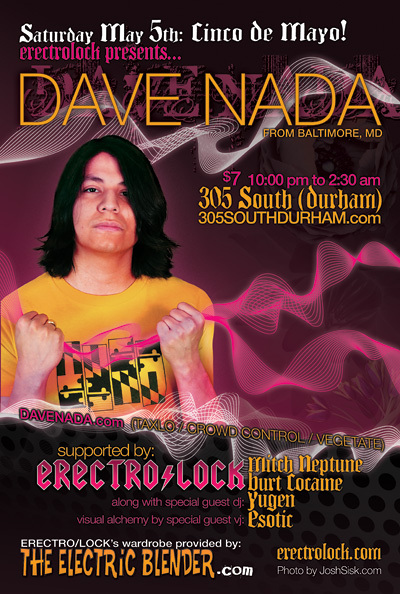 By the way, Dave Nada is one of the best DJs I have ever seen/heard. Don’t miss it if you ever get the opportunity to see him live.